Our first day of school breakfast is a big deal around here. 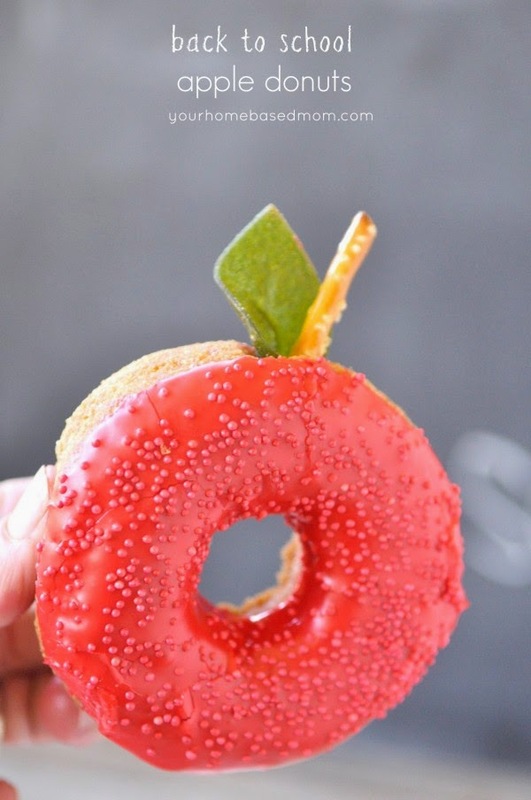 I am always looking for fun ideas and this cute apple donut would be a great addition to our lunch (breakfast) trays. You can check out how to make these fun back to school apple donuts over at Your Home Based Mom.